What New Inventions Did Star Trek Predict? Star Trek has a long history of predicting modern technology years before we made it. Cell phones, video calls, tablets, there’s a lot that wasn’t conceptualized (or at least popularized) before appearing somewhere in the franchise. Naturally, technology keeps making advances, and now Buzzfeed has run down four more Star Trek ideas that are now real. 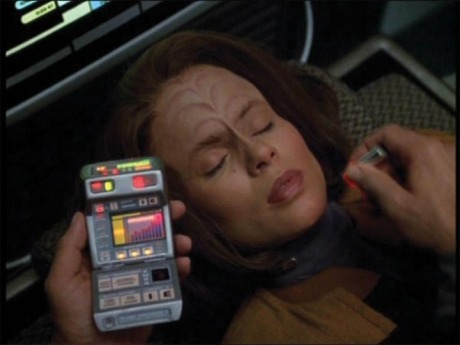 I personally think our early version of the medical tricorder is the most interesting. Maybe our devices don’t quite diagnose every problem, but even videogame camera accessories (like the Xbox One’s Kinect) can make a cursory reading of your vitals, so I’d say creating a medical tricorder that can read everything about your health is plausible based on the work done so far.